For many years, Kaethe Kruse produced a line of organic towel dolls, rattles, and small musicals but these were gradually phased out. Now, organic is making a comeback! You can find these new organic items under "Series | Organic" on the menu bar. We begin with the return of the organic Gugguli doll and two organic towel dolls. 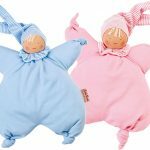 This entry was posted in Products and tagged dolls, toys, baby, organic on July 6, 2016 by Randall Hertzler. A new year brings the start of the product cycle as retailers make the trek to Nuremberg and New York to see and handle new items. For Käthe Kruse this always means the introduction of some new items and gives us a glimpse at which existing items will continue to be available throughout 2016. This entry was posted in News and tagged Europe, new, Nuremberg on January 31, 2016 by Randall Hertzler. Easter arrives on April 5th this year which is just more than three weeks away. So in honor of Peter Cottontail, that proxy of sorts for the Easter Bunny, let's highlight some great bunny gifts from Käthe Kruse! 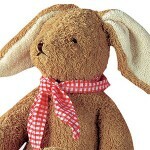 There's towel dolls, teethers, musicals, plush rabbits and lambs and more to choose from. This entry was posted in Products and tagged gifts, Easter, towel doll on March 13, 2015 by Kathryn Hertzler. The world of movie stars, glamour and fairy tales is the theme for the classic collectible dolls for 2015. 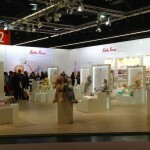 These unique dolls are lovingly handcrafted by Käthe Kruse master doll makers in Germany. The doll clothing is made from the finest high quality fabrics specially selected for each doll. 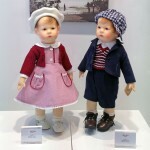 This entry was posted in News, Products and tagged dolls, Nuremberg, collectible on February 4, 2015 by Kathryn Hertzler.